Is there a good wealth accumulation strategy in your future? 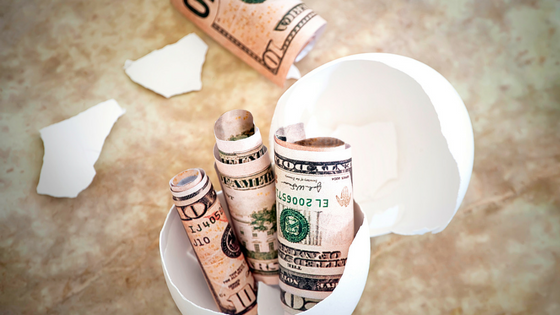 When it comes to your retirement, are you thinking along the lines of a wealth accumulation strategy that manages downside risk and takes into consideration all the factors of retirement planning so you can invest and grow a nest egg for your future? The future is coming fast, especially when you are taking into the factors that can take a chunk out of your savings like buying a home, saving for college and the added cost of health care as you grow older. While it may seem a bit overwhelming at first, the right plan should strive to protect and grow wealth over the long term. And with the right financial planner who can help you focus on creating a plan to manage life’s risks, you can focus on the most important thing for you: your life. In building a portfolio for your wealth accumulation strategy, the idea is to first understand your goals so you can determine how much you need to save. Then, you can break this amount down to see how much you will need to save each month to confidently pursue your goals. This financial plan should be done with the help of a financial advisor. Not only will they take into consideration the factors we just talked about, they understand the big picture and will help you manage the other risks you may not have thought about, like taxes, inflation and the adverse effects of an under-diversified portfolio. As you go through the wealth accumulation process, you can review your portfolio with your advisor and adjust it if necessary to reflect any unforeseen or unplanned for expenses or situations that we all face in life as we grow older. Questions? You can call Mooney Lyons at 1-847-382-2600 or visit us at mooneylyons.com. We can help ease the anxiety of facing the challenges of retirement, so you can build a future on good financial sense. The opinions voiced in this material are for general information only and are not intended to provide specific advice or recommendations for any individual. No strategy assures success or protects against loss. Stock investing involves risk including loss of principal.